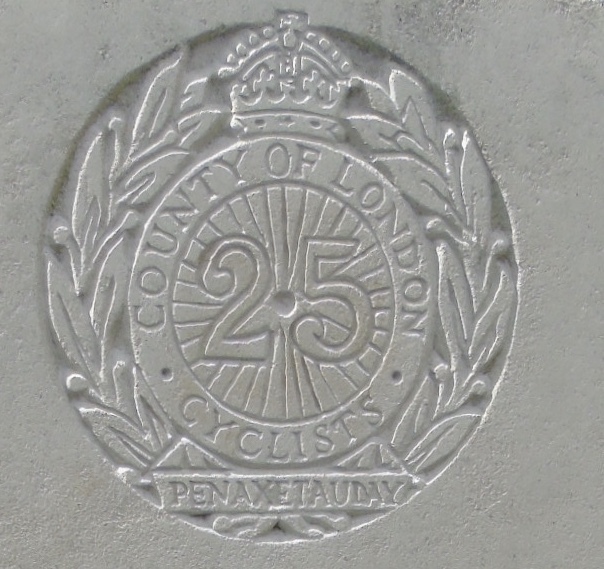 25th (London Cyclists) Bn attached 8th Kings Royal Rifle Corps 41st Brigade, 14th Division, B.E.F. Richard Hartland Woods was killed by a shell while touring the line with his commanding officer (A/Lieutenant-Colonel John Maxwell DSO MC, who was also killed). At the time he was serving as the Battalion Signal Officer of the 8th Kings Royal Rifle Corps. Woods had been a voluntary chorister at the Priory and was at the Lyttelton Grammar School before attending Felthorpe School and then the Kings School, Worcester. After school he was articled to Messrs Baker, Sutton and Co, accountants and was a member of the Institute of Chartered Accountants. At the outbreak of war he held an important position in a London accountancy firm. He joined the 25th London Regiment, and was quickly promoted to Sergeant. His Colonel recommended him for a commission and in November 1916 he proceeded to Newmarket to a Cadet Battalion. In March 1917 he was gazetted as a Second Lieutenant in the London Regiment and was attached to the 8th Battalion, Kings Royal Rifle Corps in France. After only a month’s service he was appointed the Battalion’s Signal Officer. “Richard Woods was the only son of Mr. and Mrs. W. D. Woods, of Stafford House, Malvern. He entered Castle House, as a King’s Scholar, in the Fourth Form, in January, 1904. He rapidly rose and left School from the Sixth Form as head of the Modern Side, in July, 1906, having passed with distinction the Chartered Accountants’ Examination at an early age. At School he was remarkable for steady industry and conscientious effort in all that he undertook: active both in cricket and football, for both of which he obtained 2nd XI. colours, and respected by all.